This is one of those moments where you just need to stop what you’re doing and PRESS PLAY. English singer-songwriter Foxes scored a massive hit earlier this year as the featured vocalist on Zedd’s “Clarity,” and she’s set to release her debut LP “Glorious” on March 3rd. 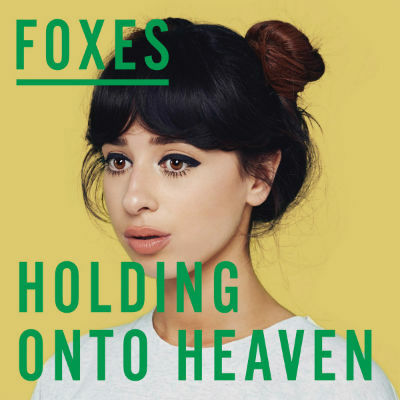 Today she dropped promo single “Holding Onto Heaven,” and it is, quite appropriately, glorious. In fact, it’s so good that I actually had to take a break from listening to the new Beyonce album! Strangely enough, “Holding Onto Heaven” is produced by the man behind Beyonce’s “If I Were a Boy,” Toby Gad. Connections. Check out “Holding Onto Heaven” via YouTube below! I am living for the 90s rave piano. Oh, you’ve never heard of “90s rave piano”? Well, this song has a lot of it. Gorgeous! I like that it has a good beat, but it still shows off her good vocal quality and range.